Professionally produced videos are differentiated by their high quality and effectiveness. Here, we explore some of the elements that contribute to professional-quality video content. At ASL Productions, our service is differentiated by our adaptability, resourcefulness and personal touch. Prioritizing these qualities ensures that we exceed our partners’ expectations at every level. When you outsource video production to ASL, we guarantee that you’ll love your content! A professional video production crew sets itself apart by its experience and deep understanding of the interworkings of a video production. Every member of a professional production crew should have particular expertise in their role, whether operating a camera, lighting equipment, audio equipment, post produciton software or otherwise. Alternatively, a one-man-band videographer might perform all these funcitons with only a cursury understanding of each. At ASL Productions, our core production crew has been working together for years, and they’re highly skilled and experiened in their respective disciplines. This allows us to provide boutique level customer service while maintaining quality and consistency. We also understand that a production is affected not only by tangible factors, but by intangible factors like the atmosphere on set. Our 10+ years experience managing productions translates in the tone and quality of our videos. Our crews are composed, our shoots well-planned and our sets focused. No drama or distractions from a job well done! Professional video equipment, and more importantly, professinal operation of that equipment, are necessary to producing high quality videos. A professional production crew will ensure that camera equipment packages are compatable across the shoot, and will understand the strengths and limitations of their equipment. For example, background noise can render voices inaudible despite the use of professional audio equipment, making an experienced audio operator that much more valuable. Also, lighting is a particularly nuanced skill, and even a small lighting mistake can result in a costly reshoot. ASL Productions owns an arsenal of the highest quality equipment, which ensures our videos are of consistent quality. Unlike some producers who rent equipment on a project-basis at the lowest possible cost, ASL employs the same professional quality equipment, as well as the same experienced operators, on every shoot. At ASL Productions, our executive producer works on a personal level with every project, and our client’s vision always comes first. We pride ourselves on bringing tailored visions to life, so our crew will inject an opinion only when we feel it’s critical to the success of the project. Our portfolio shows a wide variety of work for this reason. Time permitting, we typically spend approximately three weeks in pre-production, where ASL adds substantial value beyond a technical production partner. Regardless of whether we’re engaged for creative services on a particular project, we approach the pre-production process with care to ensure that ultimately, our video actually works as intended for our client. We start with a production timeline that accomodates both parties, then develop a project brief that sets out the goals and details for the production. In many cases, we also provide full creative treatments, including scripts, storyboards, shot lists and the like. We are results-oriented at ASL, and getting results means having a plan, so we take the time to fully understand the goals of each client. Everything else stems from that. Another aspect of our “personal touch” is our reliability and responsiveness throughout the production cycle. At ASL, our clients are never confused about their point of contact, never for want of a quick answer and never left hanging. During the post-production process, which typically takes approximately four weeks, we encourage our clients to visit our office and help “direct the edit.” We rarely need more than three rounds of revisions to satisfy our clients notes on a video, a testament to our understanding of their needs, and when one of our clients needs a video rushed, we add another editor to the project and get it done. Even when it comes to delivery and payment, we maintain our flexibility and offer several options to our clients. We deliver video files in any format, and use a number of different platforms for transferring large files, so clients with different levels of site security have options. Further, we accept nearly every form of payment, from credit cards and checks to Paypal and Venmo. No matter the project, budget is typically the most important factor. Working with a professional video production company actually helps keep costs in check. 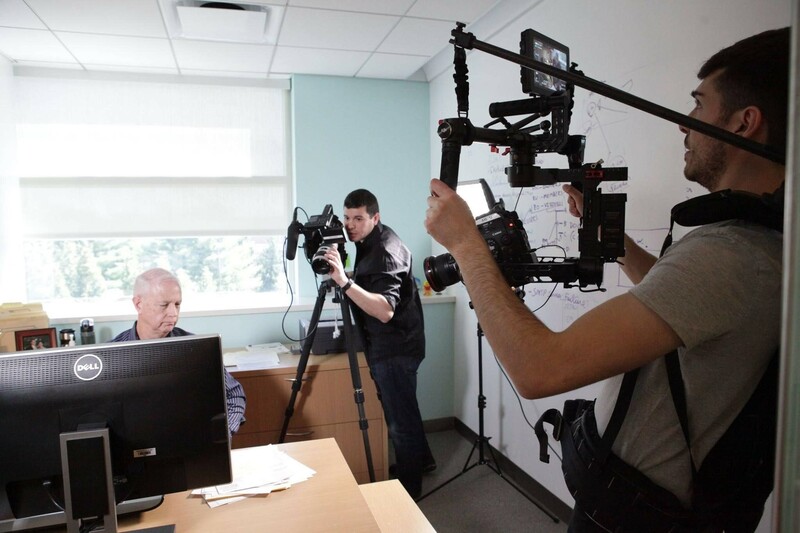 Hidden and unexpected costs accumulate quickly throughout the video production cycle, so working with an experienced producer who guarantees a set cost has immense value. Regardless of cost, producing a project successfully in one shoot cycle is invaluable relative to the risk of unexpected and sunk costs. A professional video production company can help you derive the best possible results from your video project. Trained operators and technicians, professional equipment, the personal touch of a professional, and an understanding of costs all contribute to the value of a professional video crew. At ASL Productions, we leverage our resources to help you save time and money, while meeting your organization’s goals through professional grade video production. Reach out to ASL for your next video project, and learn more about why engaging professionals ensures that you’ll love your content!